After sponsoring inspirational yoga teacher Chelsea Roff in a successful Indiegogo campaign that raised $46,000 for her work, we’re happy to report that Chelsea’s Yoga For Eating Disorders program will soon be offered free of charge to patients at Monte Nido Eating Disorder Treatment Center in Malibu, CA. Over the next twelve months, the Yoga For Eating Disorders program will be offered at nine additional treatment centers nationwide, from Los Angeles to Denver to New York City. Click here to read what teachers and health professionals are saying about Chelsea’s Yoga, Food & Body Image Intensive program, now being offered to general populations. Over the next year, Chelsea will also be working in partnership with Dr. Jamie Feusner and The UCLA Eating Disorder and Body Dysmorphia Laboratory to collect data for an evidence-based study on the effectiveness of yoga as a complementary treatment for eating disorders. The study will examine whether the Yoga for Eating Disorders program is an effective intervention to prevent relapse, reduce eating disorder behaviors, improve body image, and cultivate self-awareness. 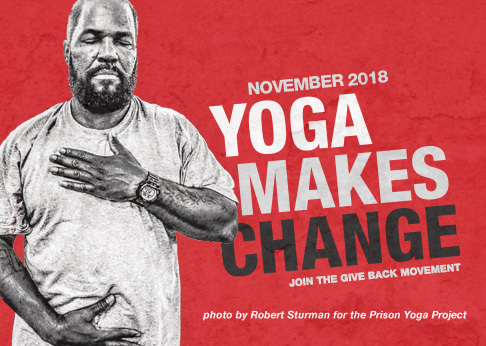 While Chelsea’s Indiegogo campaign has ended, you can still make a donation to help bring free Yoga for Eating Disorders programming to treatment centers across the country. Just click here to make a donation, and be sure to put FOR YOGA FOR EATING DISORDERS in the “Last Name” box. For every $5,000 raised, we can offer the program at one additional treatment center. About Chelsea Roff: A nationally-recognized author, speaker and yoga instructor with a background in neuroscience research, Chelsea has brought the Yoga, Food & Body Image Intensive program to over a dozen yoga studios nationwide, including The Omega Institute. She also offers pro bono talks at least twice a month at eating disorder treatment centers across the country, and has spoken at The Renfrew Center, Oliver-Pyatt Center, LaVie Counseling Center, Children’s Medical Center Dallas, and A New Journey Eating Disorder Center. Chelsea is now developing a seminar that teaches professionals how to integrate the practice of yoga into traditional treatment, and has taught workshops for professionals at counseling centers in CA, TX and NY.